Can a believer pray to Allah and be saved? Before you stop reading, before you unfriend me, before your anger gets the best of you – take a moment to read and get the facts before you do so. You may very well LEARN something that you do not know. It will help many of you, I promise! I realize that at this moment in the post that you don’t see how, but there is a valuable lesson in this so stay with me! These words are used to describe the God followed and for false gods as well. The religion followed by the people that speak these languages plays a major factor in how these words are used. It also plays a factor in how the words for false gods are used as well. In English, Rumpelstiltskin would not be called God, he would be called a false god. In Greek, Rumpelstiltskin would not be called Theos, he would be called a false theos. In Hebrew, Rumpelstiltskin would not be called Elohim, he would be called a false elohim. In Spanish, Rumpelstiltskin would not be called Dios, he would be called a false dios. In Arabic, Rumpelstiltskin would not be called Allah, he would be called a false allah. Does this mean that we all worship the same God? I am not trying to be obtuse here. If you will bear with me, there is a lesson in all of this. When the Rabbi Sha’ul (Paul) wrote to the Galatians, the Ephesians, the Corinthians, etc . . . He wrote about God. Not just any god, but the God of Avraham, Yitz’chak, and Ya’akov (Abraham, Isaac, and Jacob). Sha’ul wrote his letters in the Greek language. What word did he use for God in those Greek writings? In fact, it is only Christianity and Judaism that acknowledge Theos in this particular way. Each of these gods is called theos. NONE of these theos are the THEOS of Avraham, Yitz’chak, and Ya’akov! This is important to understand because, more often than not, there is a succinct dichotomy between language and religions practiced within that language. The Greeks believed and worshiped many theos which is called polytheism. Judaism, and later Christianity, worship only one Theos which is called monotheism. his spirit within him was disturbed at the sight of the city full of idols. and in the market square every day with the people who happened to be there. “May we know what this new teaching is that you are presenting? “Men of Athens: I see how very religious you are in every way! this is the one I proclaim to you. and the periods when they would flourish. silver or stone shaped by human technique and imagination. to turn to him from their sins. by means of a man whom he has designated. 33 So Sha’ul left the meeting. and others came to trust along with them. The Theos Sha’ul is proclaiming is a Theos “unknown” to these Greek philosophers Some scoff, some are intrigued and some come to trust – they come to trust NOT in just any theos, or an unknown theos, but the Theos of Avraham, Yitz’chak, and Ya’akov (Abraham, Isaac, and Jacob). Now that we understand a little about language and how it is used, it is simple really. An Arabic speaking believer in the God of Avraham, Yitz’chak, and Ya’akov (Abraham, Isaac, and Jacob) is a believer in the Allah of Avraham, Yitz’chak, and Ya’akov (Abraham, Isaac, and Jacob)! Don’t be confused however . . . The Allah of Avraham, Yitz’chak, and Ya’akov (Abraham, Isaac, and Jacob) – of the TaNaKh (the Old Testament) and the Brit Chadashah (New Testament) is NOT the same Allah of the Qu’ran! If Allah (the Allah of the Qu’ran) is over all things, doesn’t the mere fact that he is intercepting prayers before they can reach Adonai mean that he is NOT above all things?!? Not a good question to ask . . . OOPS! In other words, there would be nothing to intercept if the Allah of of the Qu’ran was the same Allah of Avraham, Yitz’chak, and Ya’akov (Abraham, Isaac, and Jacob)! If he was above all things, he wouldn’t even have to intercept . . .
We applaud that “A Common Word Between Us and You” stresses so insistently the unique devotion to one God, indeed the love of God, as the primary duty of every believer. God alone rightly commands our ultimate allegiance. When anyone or anything besides God commands our ultimate allegiance – a ruler, a nation, economic progress, or anything else – we end up serving idols and inevitably get mired in deep and deadly conflicts. For Christians, humanity’s love of God and God’s love of humanity are intimately linked. As we read in the New Testament: “We love because he [God] first loved us” (1 John 4:19). Our love of God springs from, and is nourished by, God’s love for us. It cannot be otherwise, since the Creator who has power over all things is infinitely good. No doubt world peace is important. No doubt loving our neighbor is important. That doesn’t justify what was written here – what was implied here – what was shared above. At the end of the day, a believer CAN pray to Allah and be saved IF the Allah that they pray to is the Allah (Theos, Elohim, Dios or God) of the TaNaKh and Brit Chadashah (Old and New Testaments) that sent His son Yeshua HaMashiach (Jesus the Christ) to endure the curse and bleed so that there could be forgiveness of sins. 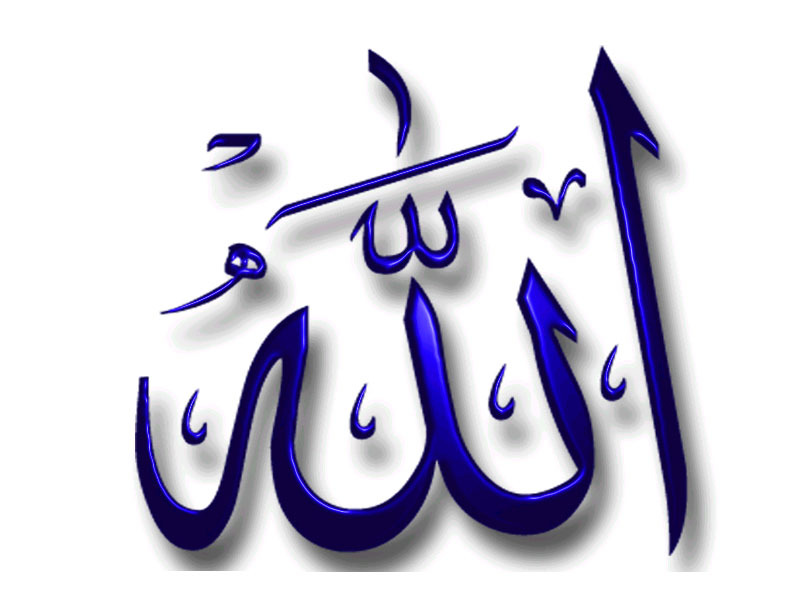 This entry was posted in Thoughts and tagged A COMMON WORD” Christian Response, Allah, Dios, Elohim, God, theos, Yale. Bookmark the permalink. 2 Responses to Can a believer pray to Allah and be saved? It is amazing how people will slip one little line in an effort to join things that do not belong together. But that is the work of post-modern thought, simply redefine what you want to believe in and it becomes true. I agree – Be blessed Mark!